Whole Body Therapy is a unique system that combines massage and movement into an integrated treatment that works to address the specific needs of your body. Sessions include clinical massage therapy and advanced bodywork techniques to improve the efficiency of your posture and movement patterns for long term health. Each session will provide you with a movement integration practice to help your body hold onto the work even longer and link one session to the next. Multi Session Series are a wonderful way to deepen your experience and accelerate your progress towards reaching your goals. Our primary focus with this work is to organize the body within gravity so it can function to its highest performance. The series is structured to organize the physical details of the body into an integrated and intelligent whole. We use a systematic approach of working from the ground up. Establishing the "footing" first will give us a supported place to then find expansion and alignment, re organizing Whole Body posture and movement patterns. 4 Session Series is recommended to receive as often as one wants to improve their all around body connection and performance. People often report that they are still integrating the benefits of this series 3-6 months after treatment. A 10 Session Series is recommended to reach even deeper layers of full body connection. This is the kind of bodywork that gives knowledge back to the body. It creates space for change that can still be integrating years down the road. Four and Ten series sessions are based on the monumental work of Dr. Ida P. Rolf. This is the classic model of balancing the body within gravity! This work is also known as; Rolfing, Structural integration, and many other unique expressions of extremely genius practitioners. Truly a transformative gift. 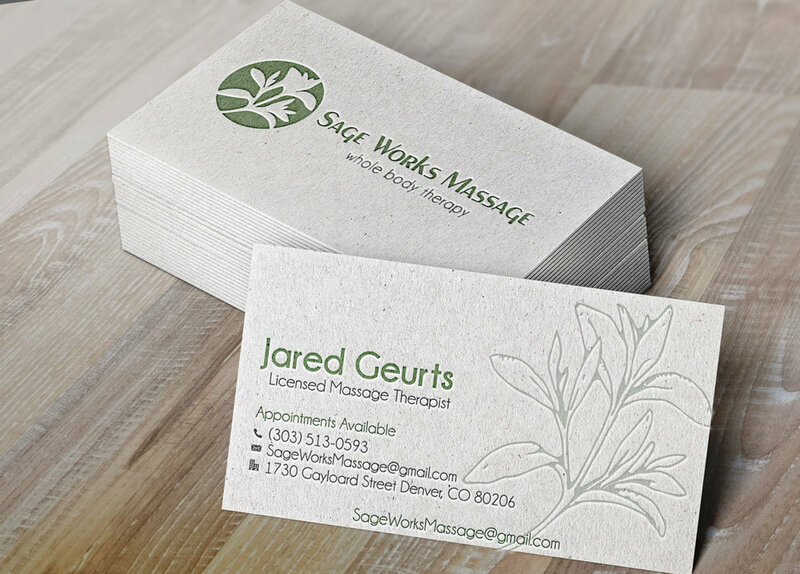 Thank you for visiting, I am Jared, owner of Sage Works Massage. I practice clinical massage therapy with over 3,000 hours and counting of formal education. "Jared gave me the best massage and body work that I have ever had. He's a conscious body worker and a knowledgeable healer. He listens and responds to the needs of the body in order to give his clients the best experience possible. I would consider you blessed if you have the chance to become a client of his." - Aiden E.